HOW DO COCKROACHES KEEP COMING BACK? 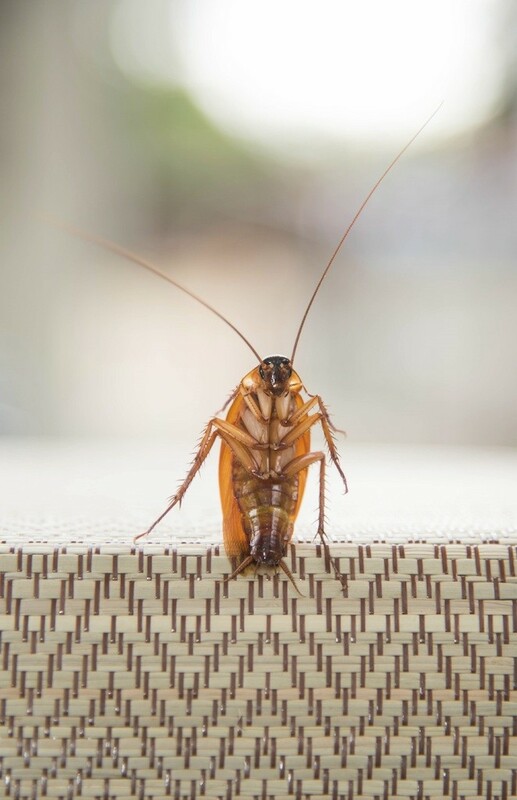 SHOULD YOU TREAT FOR COCKROACHES OR HIRE A SERVICE COMPANY? 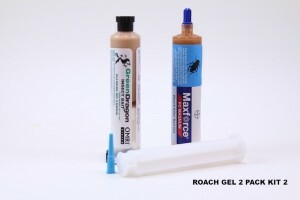 HOW MUCH COCKROACH GEL SHOULD BE USED? Cockroaches are every homeowners nightmare. If given the opportunity, cockroaches will become a permanent family member. There are different ways of dealing with this pest, but three qualities you need are 1) patience, 2) persistence and 3) knowledge. Patience is needed when dealing with a cockroach problem because you cannot spray one time and expect to never see another bug. Egg cases will hatch and follow-up treatments will be necessary. 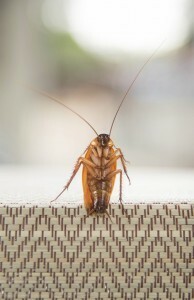 When cockroach sightings continue after treatments, use these sightings to your advantage. There must be a nest or two you missed so attack that area and stay focused. You will have to win several “battles” before you win the “war” with this pest. Persistence is needed when dealing with cockroaches because of their biology. The big problem is cockroaches develop rapidly and studies confirm they will develop faster when their population is under stress. 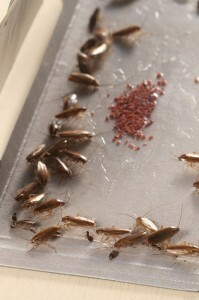 Egg sacs will routinely produce 30-40 young roach nymphs so just one surviving cockroach following the initial cleanup can cause a local problem to rebound in 30-60 days. If you’ve been treating a cockroach problem for any length of time, then you have no doubt noticed a population explosion within 4-6 weeks after a major treatment. This is nature’s way of preserving the species. To “head off” the rebound effect, you must strictly adhere to systematic applications yet still be flexible enough to adjust. Think long term and schedule treatments for at least 6 months if not a full year to insure they’re gone for good. Knowledge is another key ingredient when combating german roaches. If you hire a professional, ask questions. 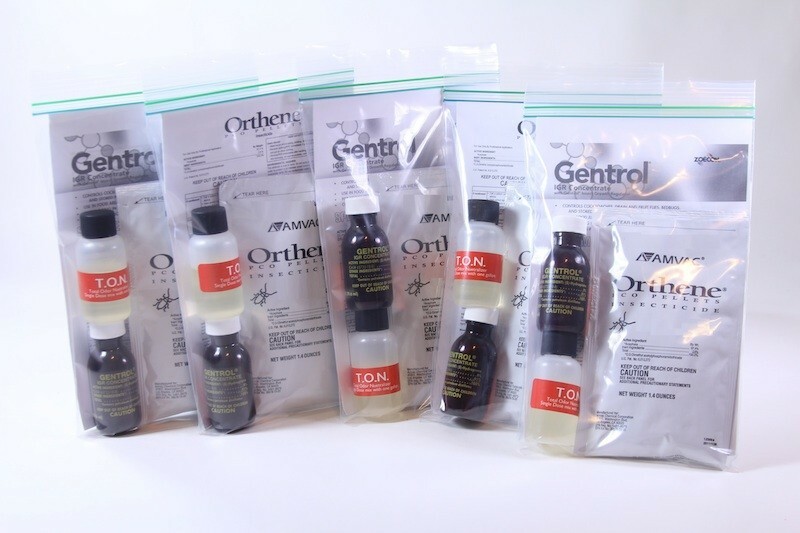 Learn what products they’re using and understand why. Make sure to monitor your problem areas both visibly and with COCKROACH TRAPS. If you’re catching cockroaches in between treatments or if they’re located in areas away from where you’ve been treating, clearly followup work will be needed. If you have cockroaches, treatments will be needed. But should you tackle the problem or hire a service company? Here are your options. 1) You may choose to use a pest control company full time for all of your cockroach control programs. 2) You may hire a pest control company but supplement their treatments by doing some work yourself. 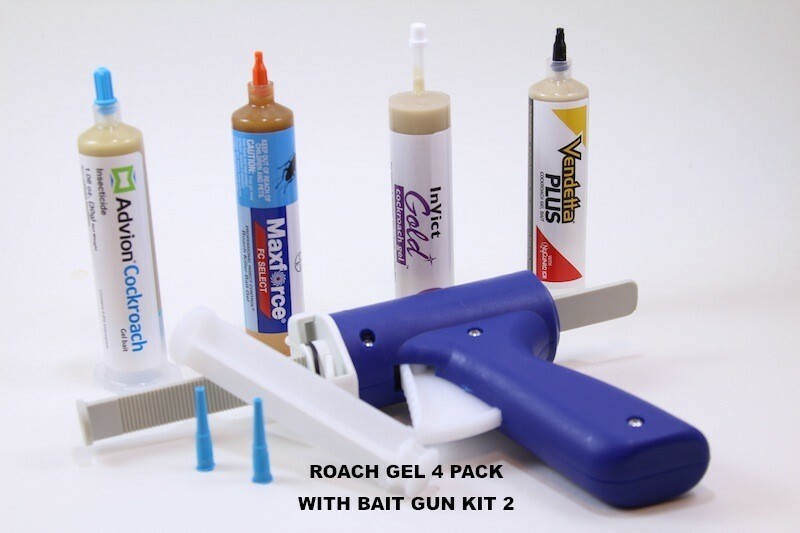 3) You may choose to handle all your cockroach control needs in house. If that’s the case, read on. The rest of this article is designed for do-it-yourselfers. 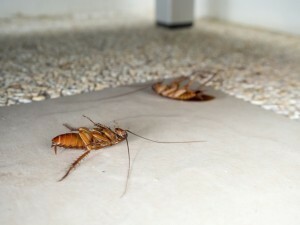 In general, there are two methods for treating an active cockroach infestation: spraying and baiting. The old, traditional way to treat for cockroaches is to chemically treat cabinets, wall voids and appliances where cockroaches like to hide. This would involve a lot of preparation. You would need to empty cabinets and make voids accessible. Only then can a treatment be complete and thorough. But today the strategy is different. At this time we have cockroach bait which actually works. And it works well. More importantly, it may be used safely in cabinets where food and dishes are stored without having to remove everything. But how do you choose which to use? Simple. 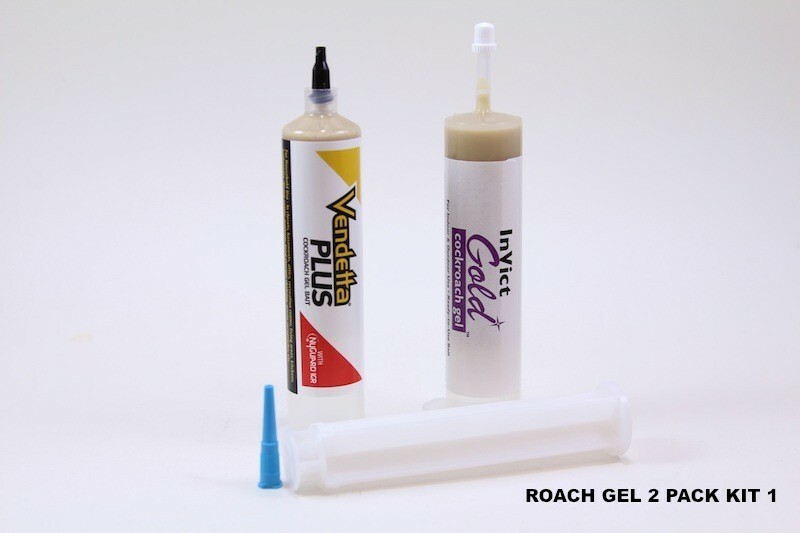 For small, isolated problems in sensitive areas like kitchen cabinets or pantries, baiting with a good cockroach gel is the best way to proceed. At least to start. But if cockroaches are being seen throughout the home or if you want to insure they don’t spread, you’ll want to supplement the bait with a good spray. 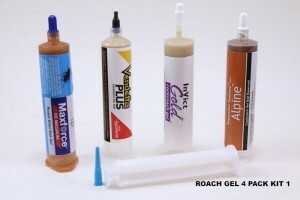 The key is knowing which gel bait is best and which spray to use. At this time, we have a wide range of cockroach bait on the market. In the past 10 years, many have come to market and many have proven effective. 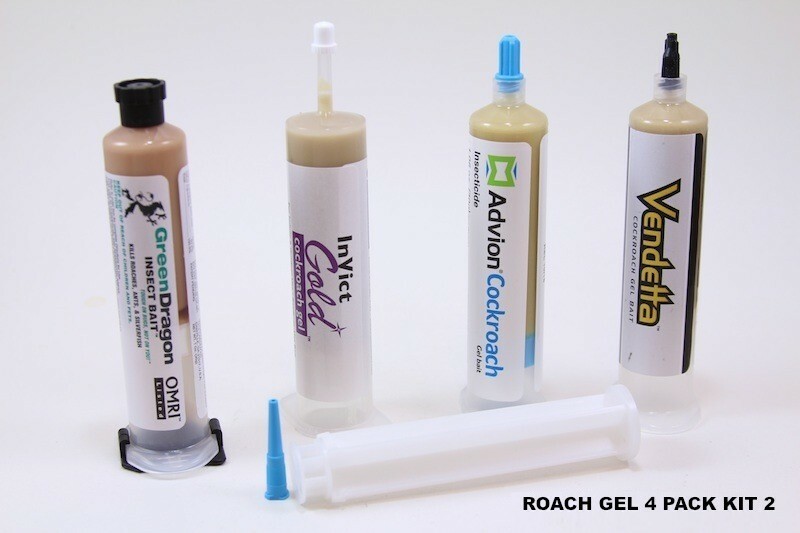 But when tests are performed to see which cockroach gel is “best”, what we discover is that in fact the “best” gel is all of them. Now what does this mean? Essentially it means a combination of 2-4 flavors of cockroach gel used at the same time will yield the best overall results. This is largely due to how cockroaches like to feed; they like to forage around and “graze” and move around. So by offering 2-4 flavors of gel throughout the problem areas, you’ll surely get bait acceptance and in the end, faster results. 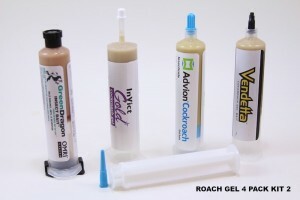 For this reason we offer the best cockroach gels in a series of 2 ROACH GEL KITS listed below. If you are careful, you should be able to apply cockroach gel without having to remove items from your kitchen cabinets or pantry. Use it along the back corners of these areas making placements both high and low. Get 2-3 spots applied for every cupboard. Be sure to treat all cabinets as well as pantries, under the sink, behind the refrigerator and basically anywhere cockroaches have been seen. Average cockroach problems will be controlled in 4-6 weeks; severe problems will take 1.5 to 3 months. 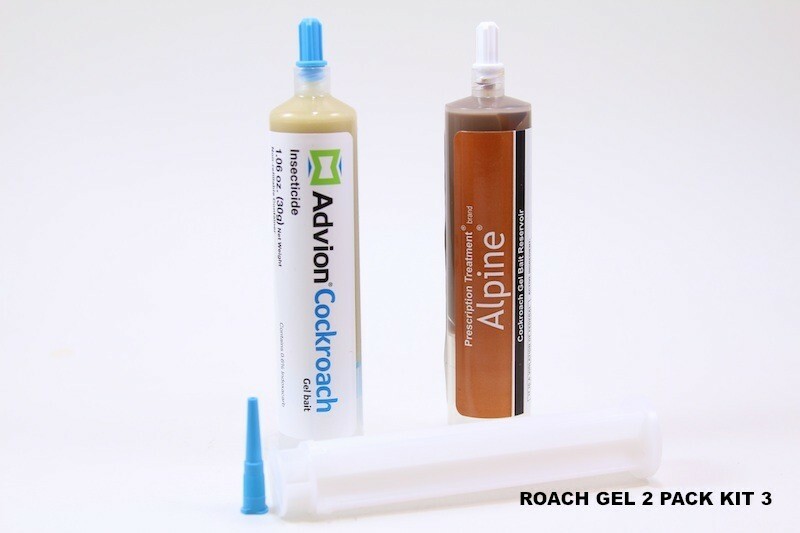 Remember, placements of the cockroach gel should be small (basically about the size of a grain of rice). And the more placements yo make the better. Space them every 2-3 feet along gaps, seams and where they like to forage. The good news is you only need to get the gel close to where you see activity. 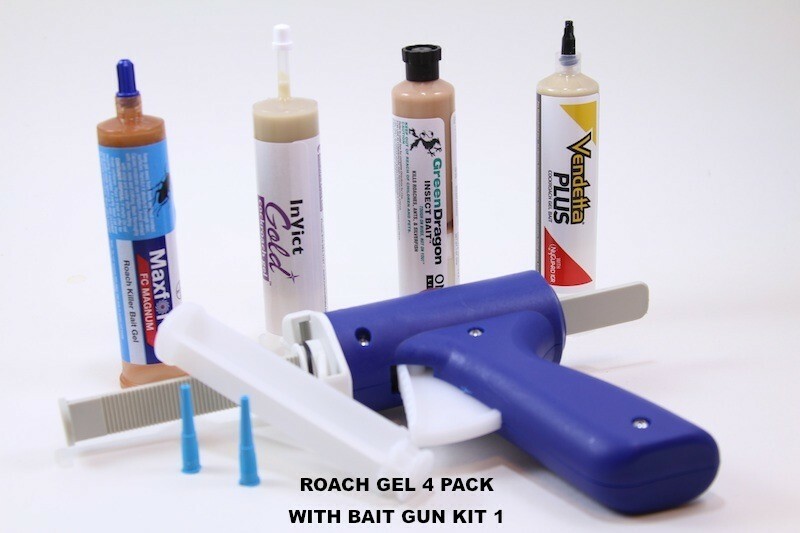 Because these products use real food for lure, the roaches will find your offering immediately as seen in the following video. As you can see, cockroaches will come crawling out of cabinets and voids to get the bait! So attracted to these products are cockroaches that you only have to make placement close to where they’re seen and they’ll surely find it. 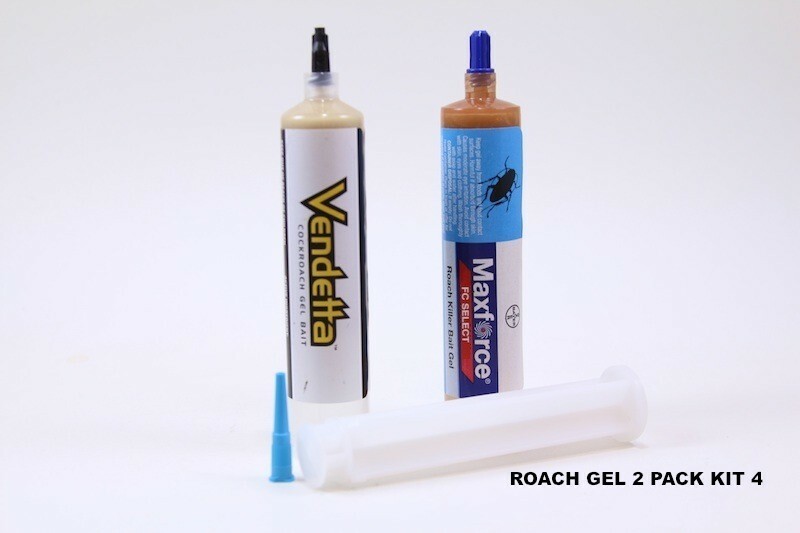 For extra protection, use REFILLABLE BAIT STATIONS to make gel placements. 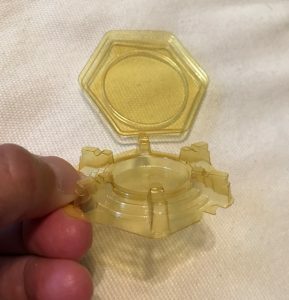 These bait stations are small, just 2.5″ wide, and easy to use. They come apart in two pieces, feature 6 entry points and will allow roaches to enter comfortably so they’re more likely to feed. 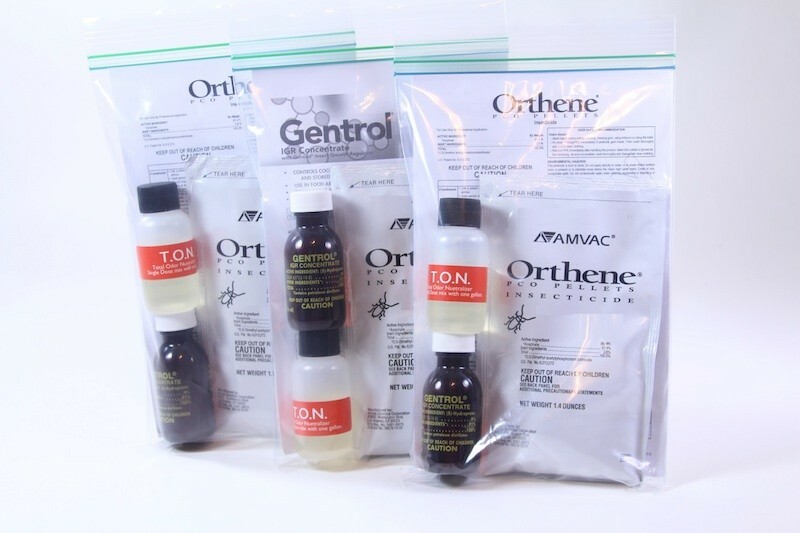 These stations will protect the gel well enough to add time to its effective life span and can be removed easily when the problem is resolved. 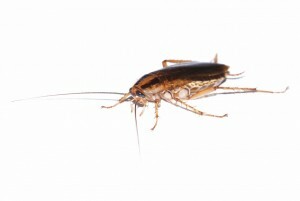 As good as cockroach gel works, its generally smart to spray the baseboards and other rooms of the home to insure the problem doesn’t spread. But what should be used? Most any “ready to use” spray bought over the counter is smelly and will contaminate the gel. More importantly, these sprays do nothing but effectively chase cockroaches causing them to find new nests which in the end, make getting control that much more difficult. To avoid this problem, use a non repellent spray. 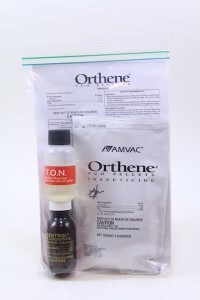 And the best non repellent on the market for cockroaches is ORTHENE WP. This product won’t be detected by foraging roaches so they’ll readily walk over the chemical and in the process, pick up a lethal dose and die. 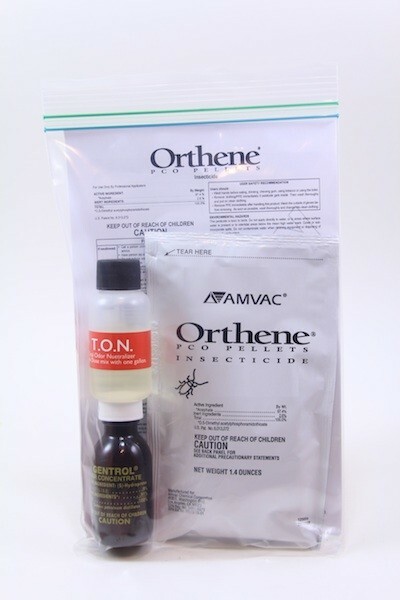 Orthene is the pest control industries “go to” product for tough cockroach problems and when mixed with GENTROL EC, the BEST COCKROACH SPRAY available. Period. Gentrol is a juvenile growth regulator. It interferes with developing cockroach nymphs life cycle so they’re not able to develop to mature, reproducing cockroaches. For this reason its vital to add Gentrol to your orthene tank mix prior to spraying. To be clear, Orthene IS NOT fast working so it will take a few days to see dead cockroaches. But this is by design. Expect to see dead cockroaches for 1-3 weeks but if you notice any still alive after 3 weeks, spray again. If you follow the guidelines listed above, you will eventually achieve cockroach elimination. We can make this statement confidently because we’ve been helping customers do this for over 20 years. The key is the right products applied at the right location. 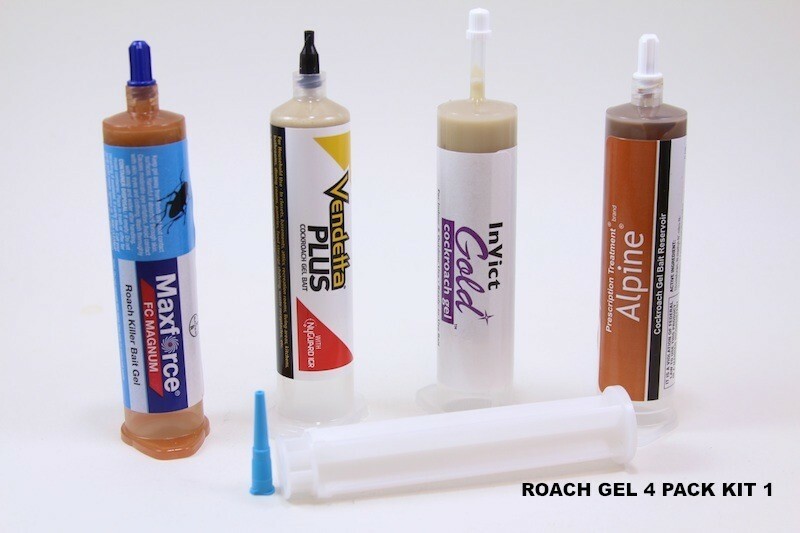 Use 2-4 different gel baits for infested cabinets and sensitive areas. The bait will yield immediate results and quickly control small problems. For large scale problems, use both the gel and the spray. But don’t settle for anything over the counter. 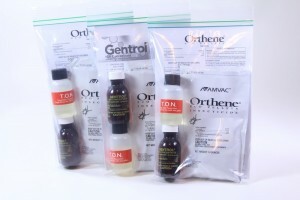 Get the Orthene kits we have listed above.